This meal is a bit of a mouthful. Both to say and to eat. 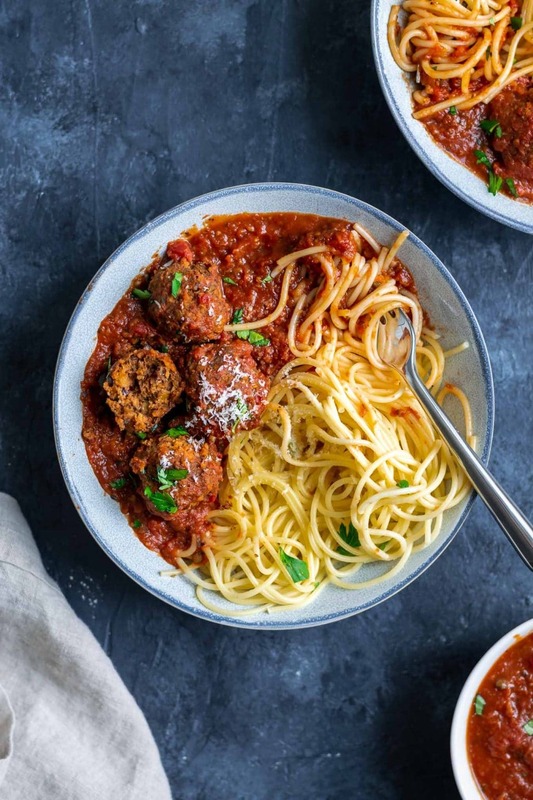 Spaghetti with roasted eggplant marinara AND vegan lentil meatballs. It’s also my favorite kind of meal too, both comfort food and bursting with delectable flavor. Slow simmered marinara is made with roasted garlic and roasted eggplant with a splash of red wine for good measure. 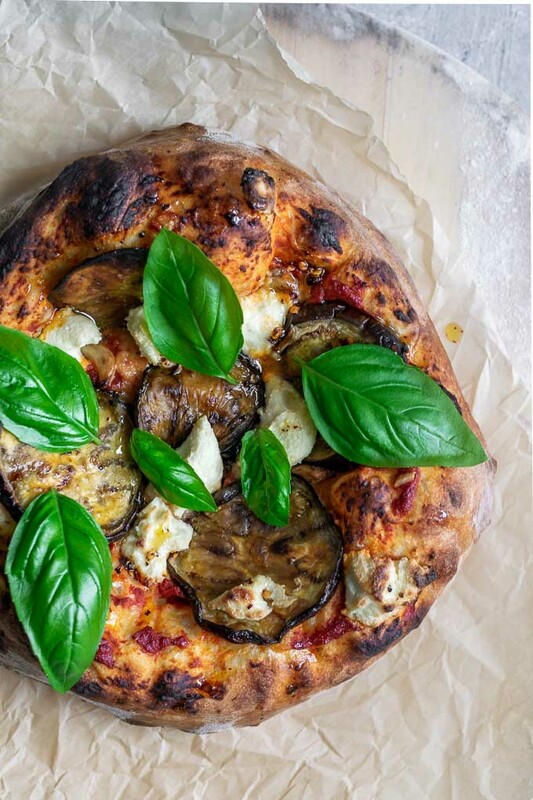 The roasted eggplant and roasted garlic cook into the sauce, melting into the tomatoes to make a delicious and sneaky-veggie laden marinara. The lentil meatballs (“meatballs” or lentil balls or whatever you wanna call them) are made with lentils (surprise! j/k), pecans, and sun dried tomatoes. Top some spaghetti with the marinara and meatballs and you’re ready for your Lady and the Tramp moment…. 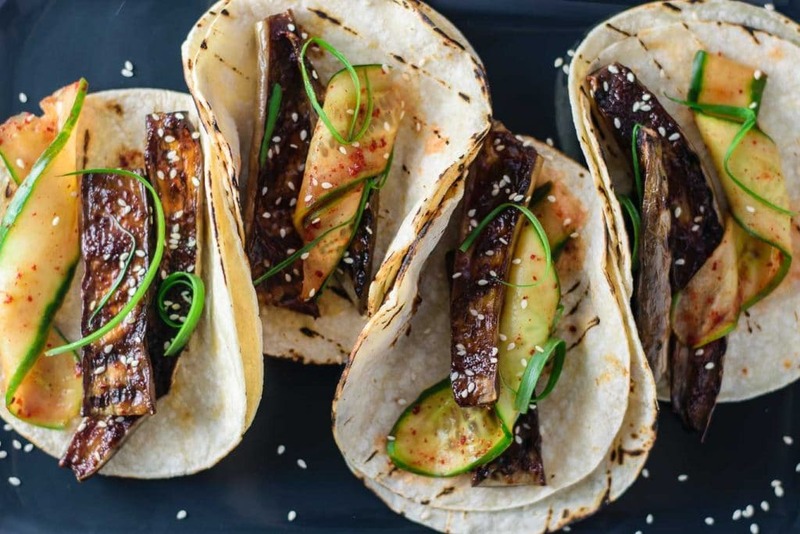 Eggplant seems to be a bit of a polarizing vegetable, which I sort of understand, as I’ve had some pretty mediocre and well, less than good, eggplant before. But when it’s cooked well, it is the perfect vehicle for flavor, and one of my favorite vegetables. So, I know it’s been crazy hot all over the US this past week, with the Midwest in particular experiencing record breaking heat waves, but theoretically the first day of fall was just a few days ago and we’re supposed to be settling into our sweaters and steaming mugs of pumpkin spice lattes. Well, however hot the temperature, I can’t be the only one craving creamy and comforting warm foods. 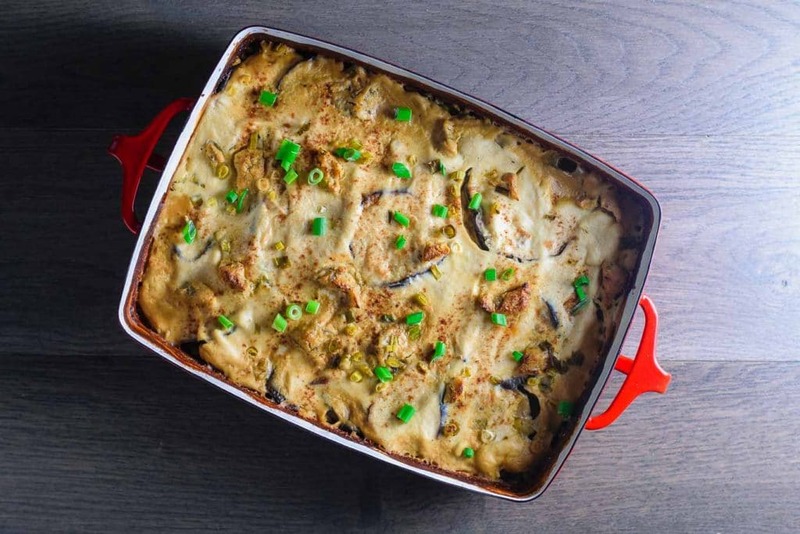 And this vegan cheesy eggplant casserole is exactly what I want to be eating right now! 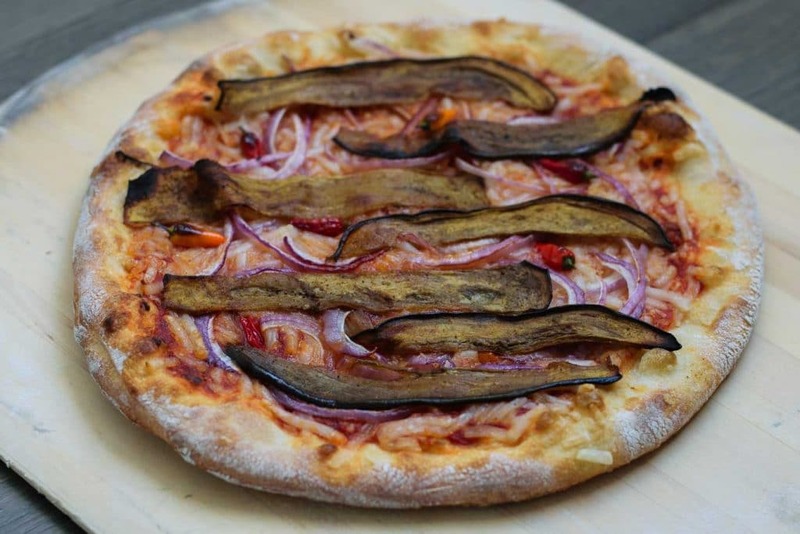 The eggplant is baked with two layers of creamy vegan sauces. 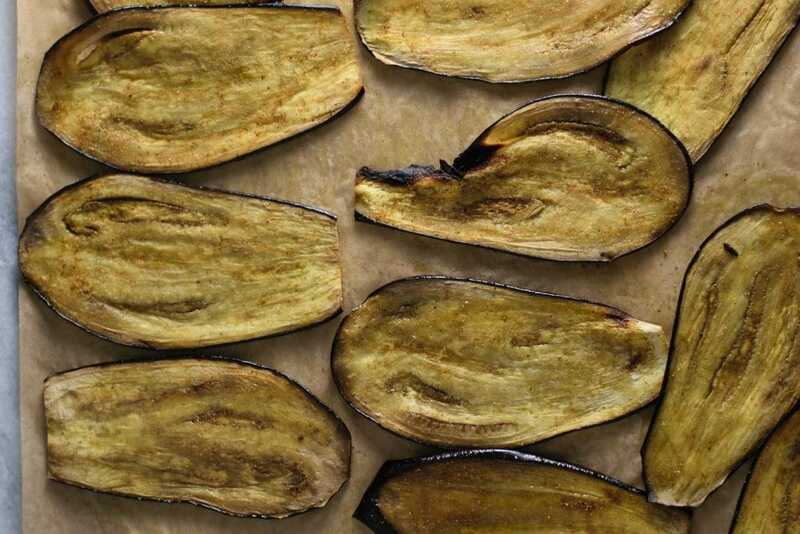 A silky smooth sauce makes the base and coats the slices of roasted eggplant, while a luscious vegan béchamel covers the whole thing. Handfuls of scallions are sprinkled throughout the layers for an oniony bite, and as an added (and optional) indulgence crumbled cultured nut cheese is tucked into the casserole….